Construction engineers use wire rope for a variety of tasks requiring strength, durability (or resistance to abrasion and corrosion), flexibility and heat resistance. Differentiate types of wire rope according to the following factors: grade, wire type, strand construction, core, lay and classification. Wire rope is used for a variety of tasks. Wire rope grades refer to their strength. The three main grades, listed from most durable to least, are: improved plow steel, mild plow steel and plow steel. The strongest grade of wire rope, improved plow steel, is also the least pliable. The least strong, plow steel, is the most pliable. The three main types of wire comprising wire rope are: bright wire, galvanized wire and stainless steel wire. 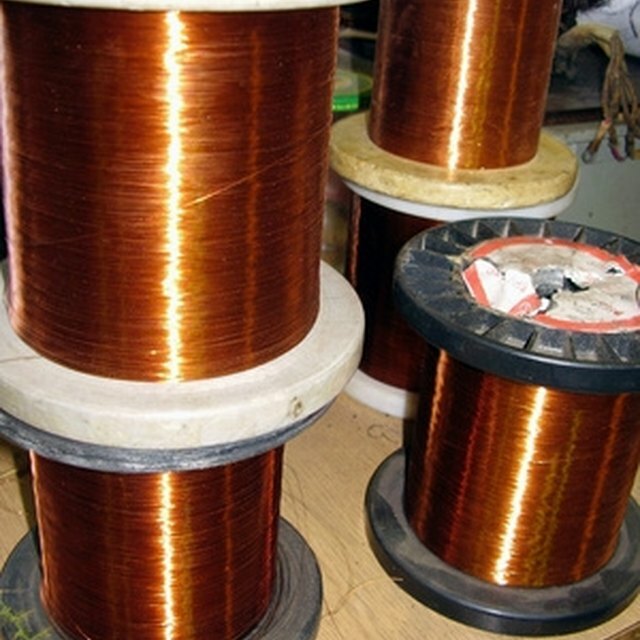 Bright wire composed of uncoated high-carbon steel is the most common. Galvanized wire is coated in zinc to add enhanced corrosion resistance. Stainless steel wire offers the highest corrosion resistance. Wire rope strand construction refers to the size of the individual wires comprising the rope. Large diameter wires better resist abrasion while smaller diameter wires are more flexible. The four most common types of wire rope strand construction are: ordinary, scale, filler and Warrington. Ordinary strand rope contains wires that are all of uniform size. Scale rope contains wires with a larger diameter on the outside and smaller diameter on the inside, closer to the core. Warrington rope contains alternating large and small wires for a combination of flexibility and abrasion resistance. In filler rope, smaller wires fill in the gaps between the larger wires. Wire rope cores support the strands coiled around them. The three types of wire rope cores are: fiber, wire strand and independent wire rope. Fiber is the most flexible and may include materials like paper, plastic, sisal or manila. Wire strand cores are more heat resistant and about 15 percent stronger than fiber cores, but less flexible. The strongest and most heat resistant is independent wire rope, which has a separate wire rope laid over the main strands. The lay of wire rope represents the directions in which the wires twist in each strand and in which the strands lay around the core. The five types of wire rope lays are: right and left regular lay, right and left lang lay and reverse lay. In regular lay, the strands all lay to the left while the differentiation of right and left refers to the direction of the wires in the strand. In lang lay, the strands and wires run in the same direction, with right and left delineations indicating that direction. In reverse lay, the strands all lay to the right while their wires alternate direction from one strand to the next. Engineers classify wire rope by the number of strands set around the core and the number of wires in each strand. Most wire rope consists of six strands. The most common wire counts within each strand are 37, 24, 19, 12, seven or six. The two most predominant types of wire rope are six by 37 and six by 19, meaning six strands consists of 37 or 19 wires each. How Long Will a Vinyl Chain Link Fence Last? Are LED Lights Brighter Than Regular Lights?